Membership – Membership shall be chaired by the Vice President for Membership and include at least 3 members of the Chapter. Membership promotes membership and diversity, maintains an accurate mailing list, monitors renewals and reconciles Chapter and Association membership records. Education – The Education Committee shall be chaired by the Vice President for Education and include at least 3 members of the Chapter. Education shall develop informative educational programs for the membership meetings of the Chapter. They shall initiate forums for the benefit of the Chapter membership, the fund raising profession and the general public; endeavor to put on joint programs with the Colorado Planned Giving Roundtable or other fundraising organizations. Marketing Committee – The marketing committee shall be chaired by the Vice President of Marketing and will include at least 5 members, including AFP chapter members, community members and/or marketing specialists. This committee is responsible for promoting the AFP Colorado Chapter and its various educational and networking functions to the general public, for positioning AFP as the authority on fundraising; to promote awareness of fundraising ethical standards; and develop a marketing plan which can serve as a model for Chapter Members to apply to their own organizations. One member of each of the other committees will sit on the marketing committee to ensure effective marketing of all AFP programs and offerings. Meetings are quarterly and independent work is expected. 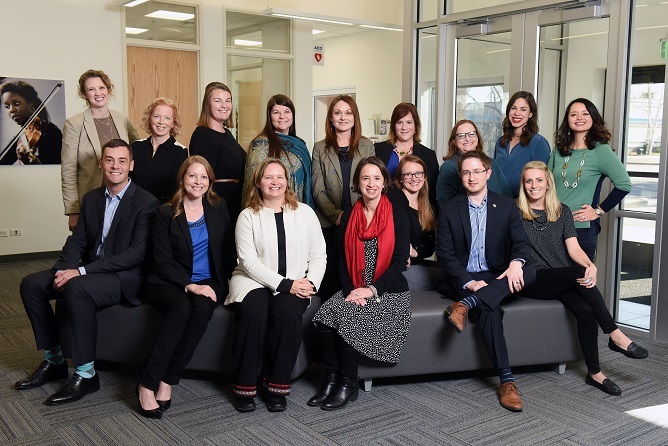 Rocky Mountain Philanthropy Institute Committee – This committee will be responsible for the planning and coordination of the Rocky Mountain Philanthropy Institute conference, typically held in the fall. They will be responsible for budgeting, scheduling speakers, seeking sponsorship and coordinating with the chapter office on the registration and administrative details. Sponsorship Committee – The sponsorship/fundraising committee has been established to help with sponsorship in all areas of the AFP chapter. It shall work in coordination with all other committees as needed and stay in communication with the AFP Board of Directors through those committee chairs. National Philanthropy Day Committee – This committee will be responsible for the planning and coordination of National Philanthropy Day. They will be responsible for budgeting, the nomination process and promoting nominations statewide, planning the luncheon, seeking sponsorship and coordinating with the chapter office on the registration and administrative details. Mentoring Committee – This committee shall be chaired by the VP of Mentoring and is responsible for all aspects of the 6-month-long mentoring program. The committee manages the marketing of the AFP Colorado Chapter Mentoring Program, filtering through the applications, identifying ideal mentor/protégé matches, as well as planning the Kick-Off and Wrap-Up events. Throughout the program, the committee conducts regular check-ins with the participants and problem-solving when needed. Diversity Committee – This committee shall be chaired by the VP of Diversity and is responsible for coordinating programs which contribute to a more diverse and inclusive philanthropic community.